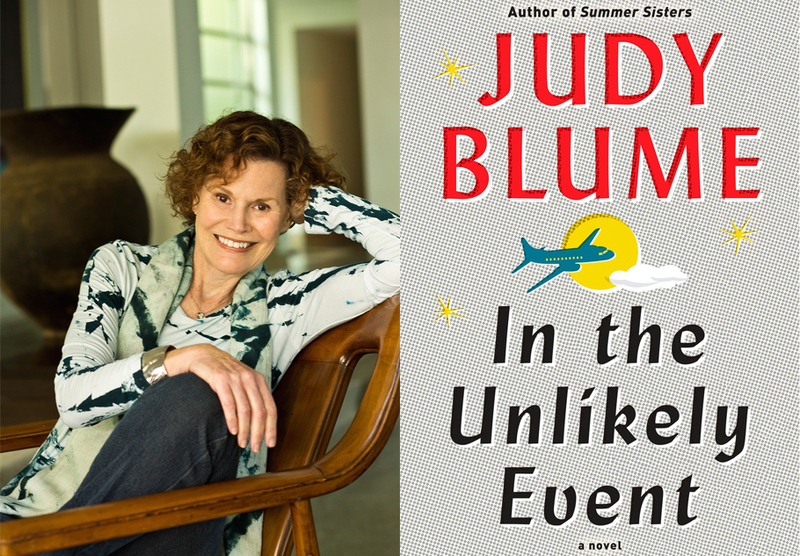 Most of us know Judy Blume as the woman who wrote those books we devoured as we grew up — novels that shaped our development, perhaps more than we even realized. We may have started with Tales of a Fourth Grade Nothing and the rest of the Fudge series, then moved on to books like Starring Sally J. Freedman as Herself. Blubber, Are You There God? It’s Me, Margaret, Deenie and Then Again, Maybe I Won’t and eventually graduated to that dog-eared copy of Forever we giggled over with our friends and hid from our parents. 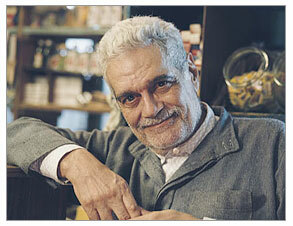 To meet Omar Sharif was to fall instantly under his spell. At least that’s what happened to me when I interviewed him for Salon in 2003. Sharif was promoting his role in François Dupeyron’s cinematic confection “Monsieur Ibrahim and the Flowers of the Koran,” in which he played an old Muslim shopkeeper in 1960s Paris who dispenses sweet nuggets of wisdom to a young Jewish boy slightly lonelier and much, much sadder than he. Sharif himself took a similar don’t-worry-be-happy view of life. He told me that he had much in common with M. Ibrahim. “We ended up being exactly the same,” he said, which makes it especially poignant, perhaps, to recall his description of the character’s death. As school book fairs and children’s library browsers can attest, there is no shortage of biographies aiming to educate young readers about the lives of historical figures, from George Washington to Jackie Robinson, Annie Oakley to Anne Frank, Helen Keller to Harry Houdini, Eleanor Roosevelt to Elvis Presley. Deeply sad to hear about Lou Reed’s death. I have thought a lot about him since I was lucky enough to interview him for Salon, back in 2006. Days before the opening of the rock icon’s first major photography exhibit in New York, we spoke about his photographs, which were surprisingly sentimental and pretty. “I was following this beauty, this overwhelming beauty that you see in New York,” Reed told me as we sat in the Steven Kasher Gallery, in Chelsea, surrounded by pictures of sunsets, darkly glowing clouds, moving light and the view of the Hudson River from his West Side apartment. Reed, a notoriously difficult interview, immediately put me on notice. He made fun of my low-tech tape recorder — and my name, which he found absurdly punny, given my profession. He was in complete control of our conversation, leaving me and my list of questions hopelessly scrambling to keep up as he discussed his technique and inspiration and associations. But when he decided I was not out to get him, as he obviously felt many journalists were, he warmed up, speaking to me longer than scheduled, even reaching out, at one point, to give my hand a little approving pat. He appeared to want nothing more than to be heard and understood, to connect. As I finally moved to leave, taking my apparently ridiculous tape recorder with me, Reed enveloped me in a hug. It may have been after I told him I had been seated in front of him years before, in 2001, at soul singer Howard Tate’s first back-from-nowhere NYC gig at the Village Underground, a night no one in attendance would ever forget. Or it may not. I can’t specifically remember what prompted his sudden warm embrace. But I do remember that, after I revealed I had only months before had my second child, he pulled me back into the gallery to look at an image he thought would mean something special to a new parent. Who will win ‘The Voice’? Danielle Bradbery took top honors on “The Voice” last season, becoming, at age 16, the youngest singer in the show’s four-season-long history to do so. The Texas teen’s first single, “The Heart of Dixie,” released in July, a week before her 17th birthday, showed off her pipes and her country-music-star potential, hitting No. 16 on the Billboard country songs chart. Her debut album, due out in November, is already generating buzz among fans of her silky vocals and sweet stage presence. Will this season of “The Voice” — in which the show’s original four coach/mentors will reunite, as Christina Aguilera and CeeLo Green return to their stately, spinning red chairs – find as worthy a winner? I’ll again be in my (alas, stationary and far less majestic) TV chair, tracking the competition for the Los Angeles Times. The show has just snagged an Emmy, proving its high ratings are not for nothing. Why not watch with me? In fact, these posts were among the most-shared across social media in the history of msnNOW, a trending news site launched by Microsoft in February 2012, proving that what makes a story tops in traffic is not only carefully crafted SEO copy and following a trend – it’s sniffing out a good story before it trends and writing compelling copy people universally relate to. A story they feel a deep urge to share. And share again. Ryan Seacrest doesn’t really eat puppies, right? If the anonymous author of “Elimination Night,” a fictional confection set behind the scenes of a singing-competition TV show very much — perhaps exactly — like “American Idol,” is difficult to identify, the same cannot be said of most of the satirical novel’s characters. There’s “erect-nippled” British judge Nigel Crowther, avuncular session musician JD Coolz, workaholic “HostBot” Wayne Shoreline, glamorous Bibi Vasquez (her big hit: “Bibi From the Hood”), aging recovering-addict rock star Joey Lovecraft.